On Sunday afternoon of the 9th of December, Wellington Palestine organised a Family Fun Day Out in Waitangi Park. It was a bright blue summer’s day and I felt truly privileged to attend with over 100 other Wellingtonians: young and old, friends and family. Dabke music flooded the park, Palestinian flags fluttered in the breeze and several stalls offered delicious Egyptian and Palestinian food, arts and crafts, as well as henna and face painting. Children and young people had their faces painted with the Palestinian flag, listened to the story telling of Fairy Trina and persuaded their parents to buy them a “Free Palestine” T-shirt or bracelet. The vibrant dabke beats of Mohammad Assaf and Ibrahim Sbehat set the celebratory tone for the event. As the music drifted on the breeze it travelled far and wide, pulling in passers-by simply because they couldn’t resist some good old, toe-tapping, Palestinian beats. We were able to share the beautiful taonga that is Palestinian culture. A culture that remains rooted in its people, and in its friends abroad, even when it is violently suppressed at home, in our own land. Involvement in such events is not just about picnics and fabulous opportunities to socialise with like-minded people, it’s about building collective power and solidarity. 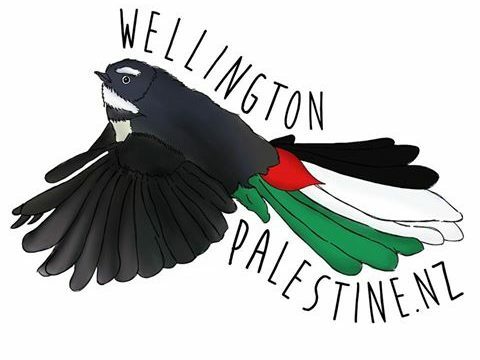 That is what we do: Wellington Palestine, and the many other Palestinian rights groups across Aotearoa. Through our educational events, movie screenings, information sessions and petitioning; we support people to stand firm in the face of injustice and challenge the state of Israel in its oppression of our people and our land. Palestinians will not be forgotten, Palestinian culture will not be forgotten, Palestine will be free.